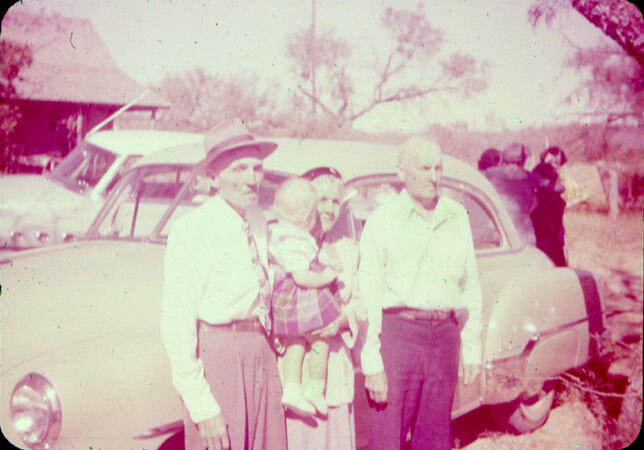 Cordielia "Cordie" Gailey was born January 26, 1898 in Eastland County. 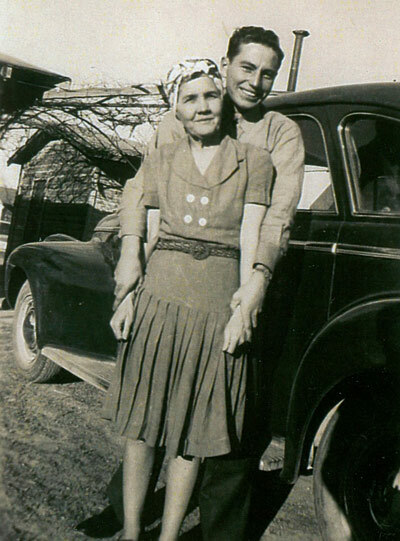 She died March 5, 1962 in Merkel, Texas. 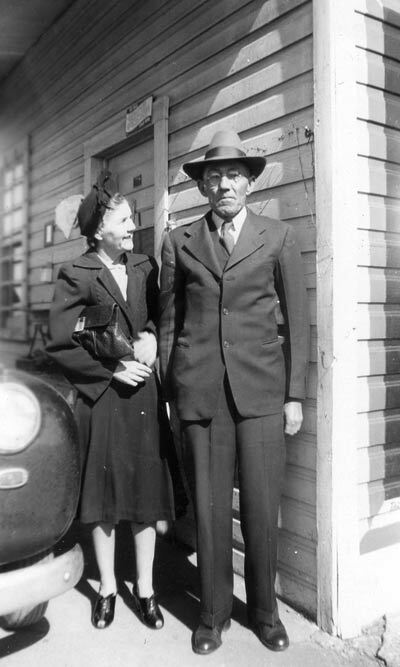 Cordelia Gailey married Dee Lee who was the son of John Abel Lee and Starrett Annie Smith. 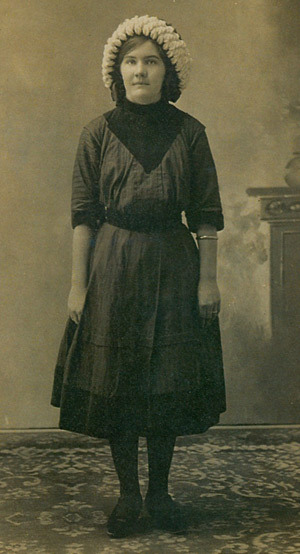 Starrett smith was the youngest daughter of Permelia Jane Tuder "Gailey" Smith, making Cordie and Dee half first cousins. The two had one child, Zelma, which died young. They would later raise M.C. Fry after his mother Eva died. 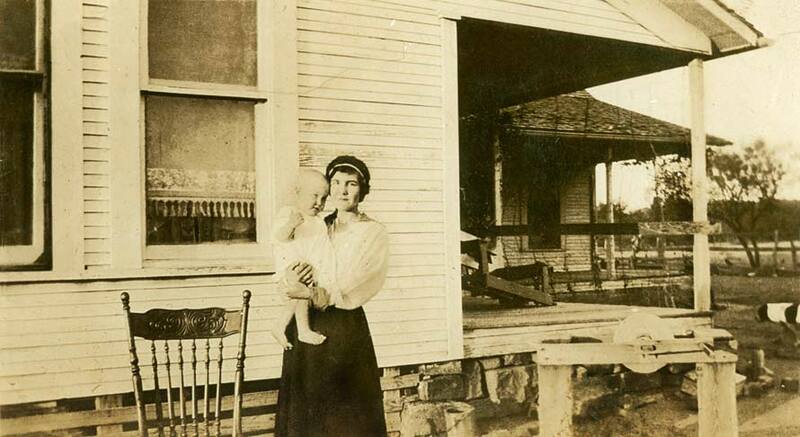 Cordie Gailey Lee holding a neice or nephew around 1918 at the "new" Gailey house south of Thurber. Baby could possibly be Chrystal Jackson Falls. 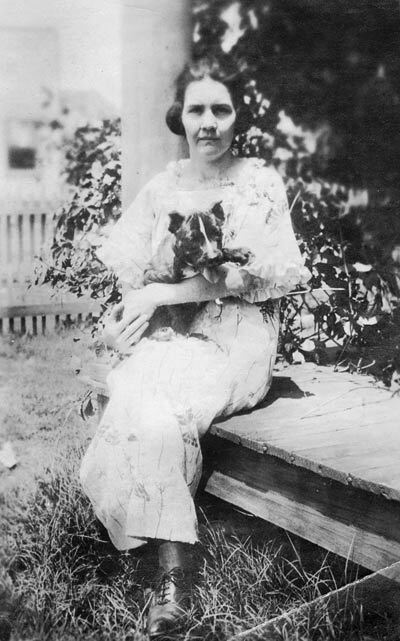 Cordie Gailey Lee holding a baby. 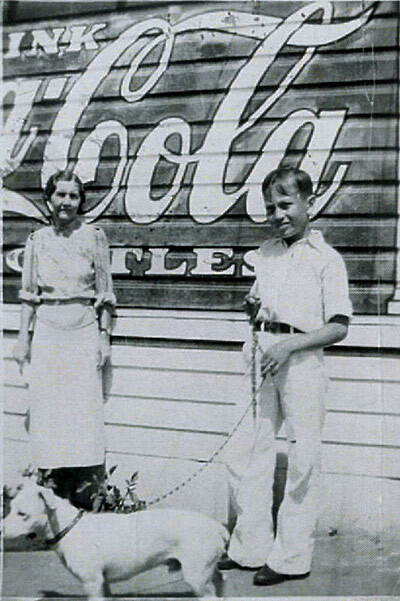 The girl standing next to her is Audie Gailey or Dovie Gailey. 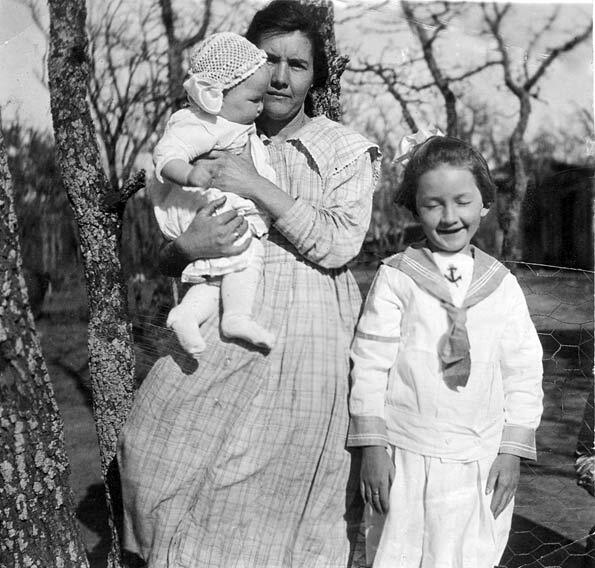 If Audie is the girl standing, the baby might be Dovie. This is the headstone for Dee Abel Lee's parents, John Abel Lee and Starrett Annie Smith. 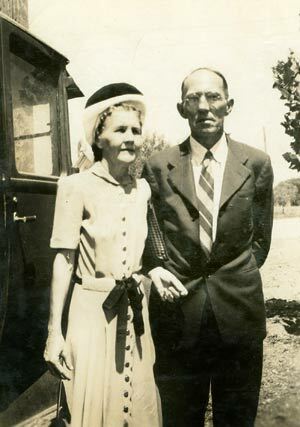 Late in their life they moved from Texas to Tulare County, California where they are both buried at the Exeter Cemetery. 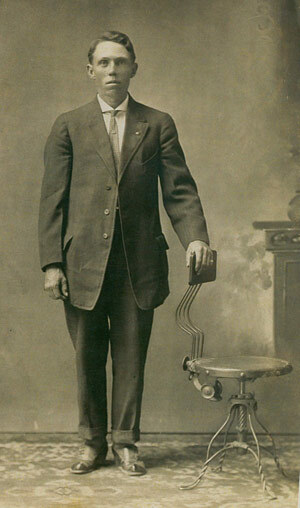 A backstory on John Abel Lee is that his parents and older siblings were killed by Indians when he was young. 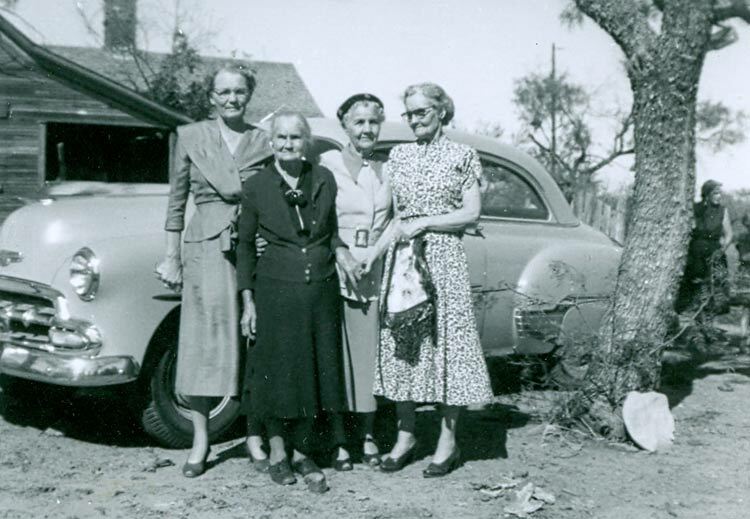 The were living in central Stephens County at the time. 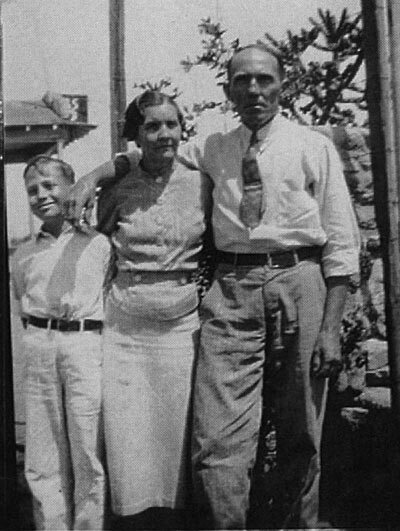 John and his sister were taken by the Indians and held captive for several months before being released. 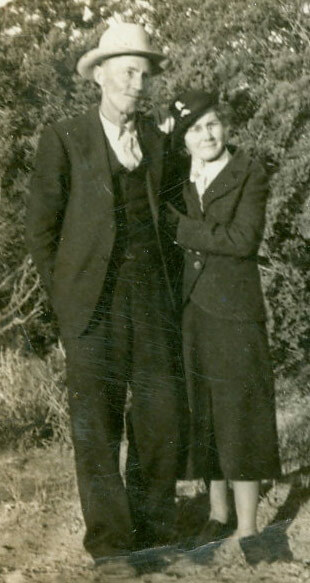 John and Starrett Annie had several children together, Dee being the oldest.